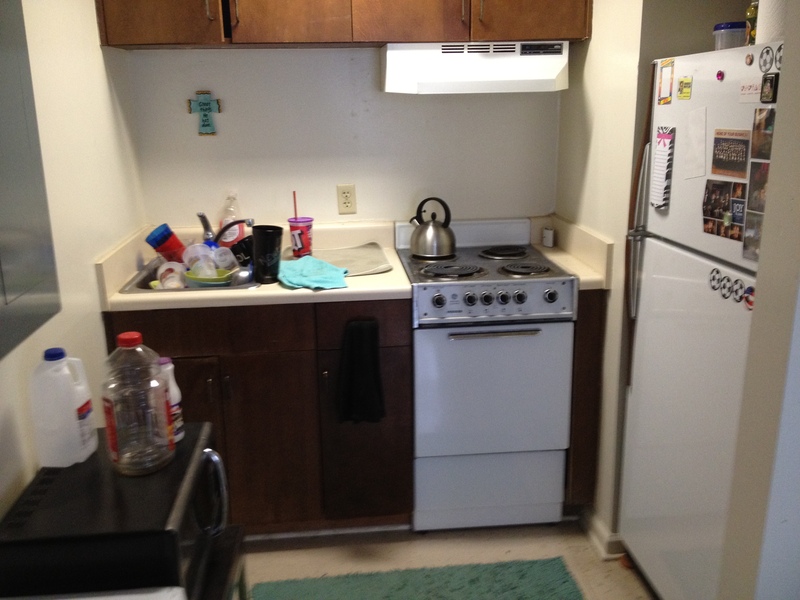 Welcome to my dorm room kitchen. It is definitely not pretty (and yes, I do live with people who don’t like to do their dishes), but since I technically live in a handicap suite, my room is the only one in the building that has a oven and stove. So I guess I can’t complain. 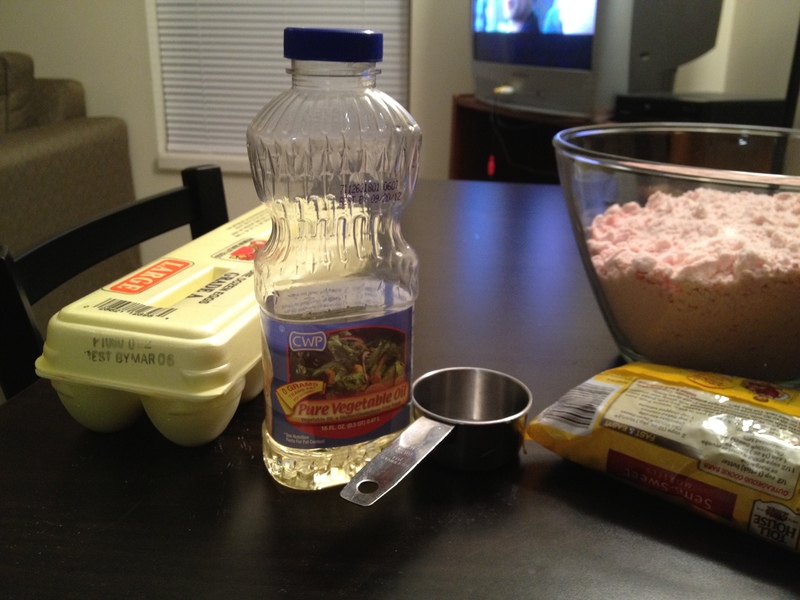 My roommate and I talk about baking a lot, but we still have not invested in flour, sugar, baking soda – the basics. 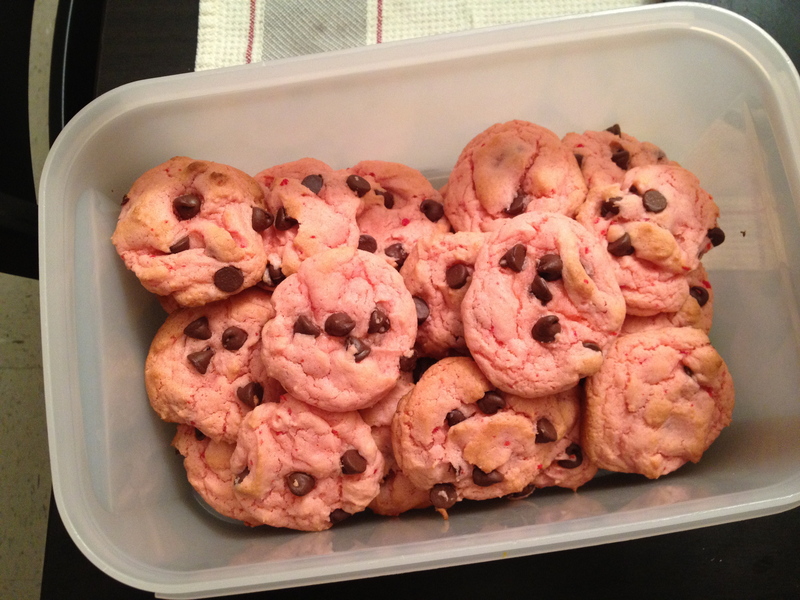 Then I remembered about these cake mix cookies. You only need 3 ingredients, and they are oh-so delicious! Set oven for 375 degrees. 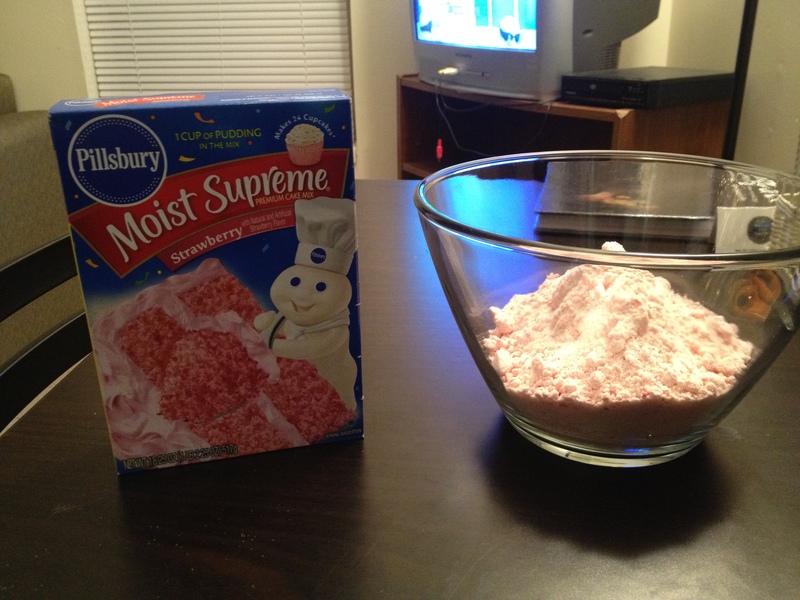 Simply add the first three ingredients, and mix. Then fold in the chocolate cups. Shape dough into 1-inch balls and place on cookie sheet. Put it in the oven and cook for 6 to 8 minutes. Super easy, right! You can do this recipe with any flavor cake mix. Strawberry is simply my favorite. 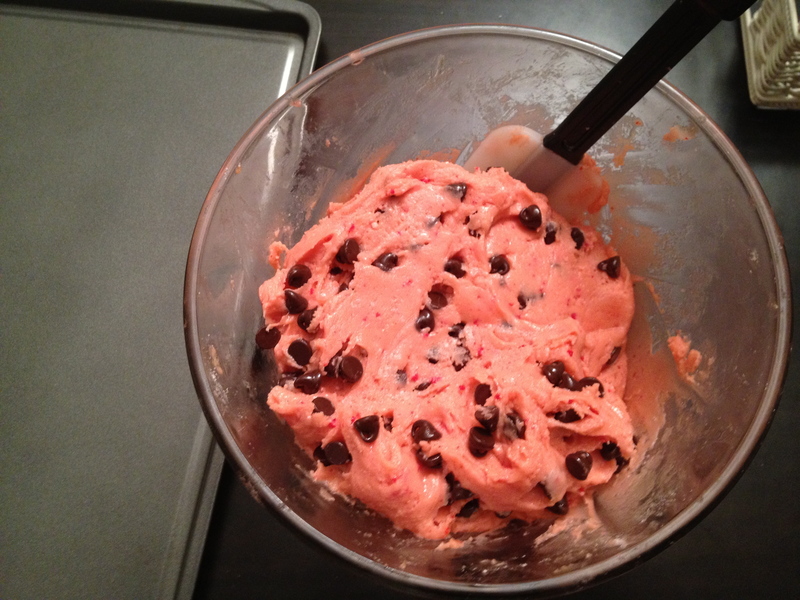 Most of the times I make this I double the recipe, which makes about 4 to 5 dozen. Enjoy! The day after my brother and sister-in-law announced they were expecting, I found myself in a fabric store freaking out over all the adorable baby patterns. I saw this fabric and knew I had to do something with it. Let’s face it, a baby opens up a whole new genre of crafts that can be made, and I am so ready to embrace it. Naturally, the first thing that came to my mind was a quilt. 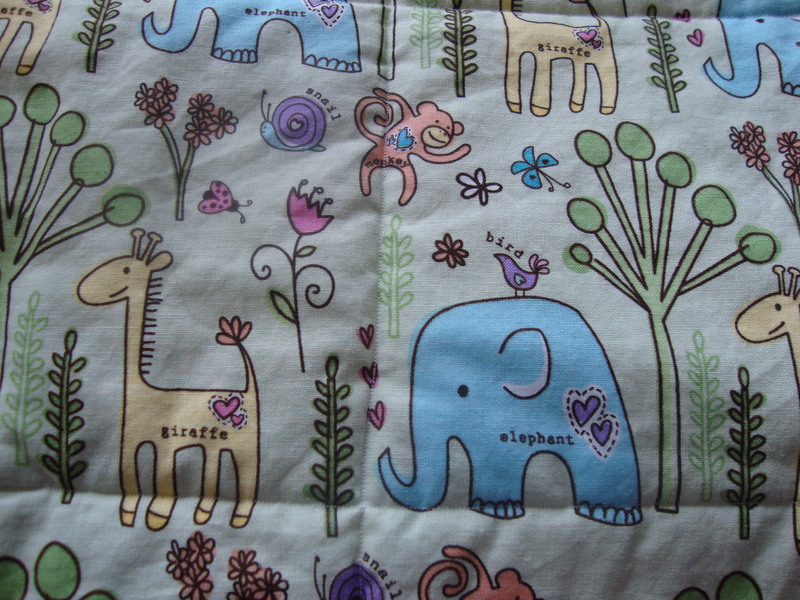 So I bought a yard of this fabric, a yard of this amazing plaid fabric (that matched perfectly, I might add), and 4 inches of an orange polka dot fabric (that matched the monkey) for the binding. 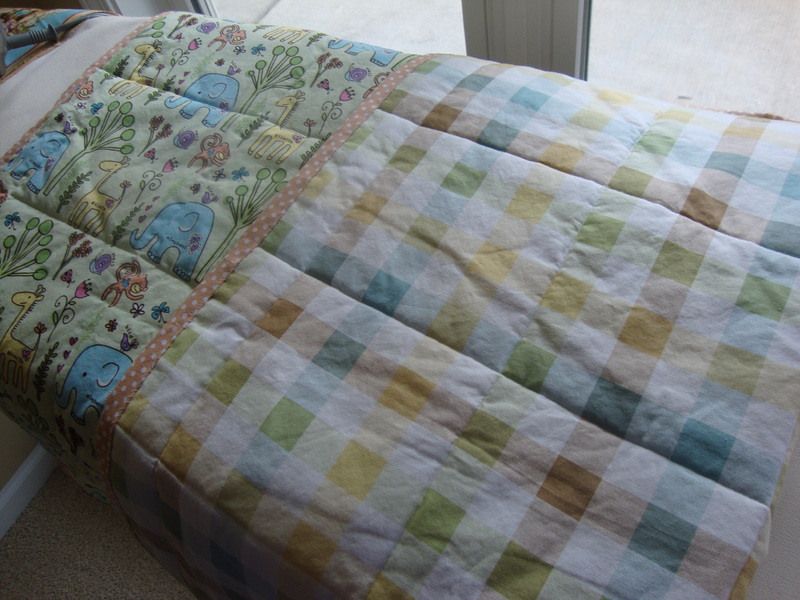 To assemble the quilt, I decided to not cut up the fabric but keep the pieces whole. This made it super easy and super fast to make. I used the adhesive spray to stick the fabrics to the batting, and then I simply quilted boxes using the plaid side as my guide. 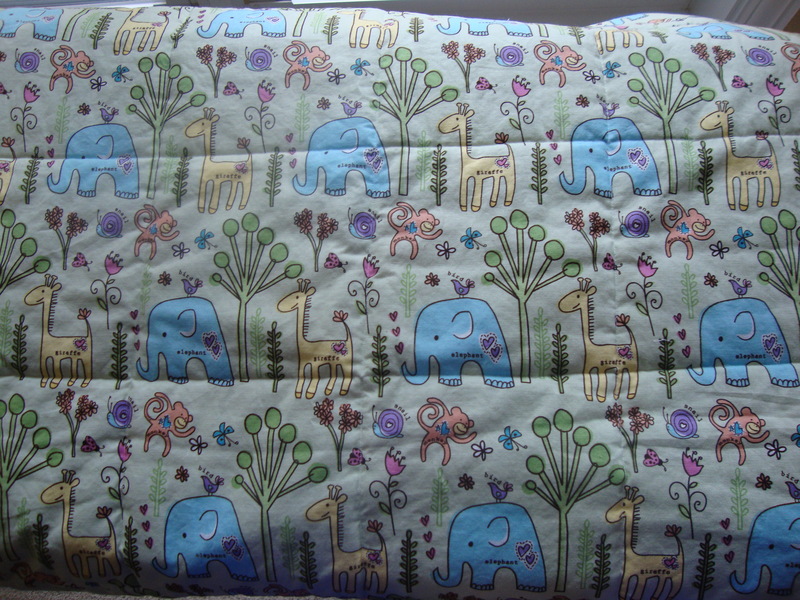 Finally, I attached the binding (see instructions on earlier posts). 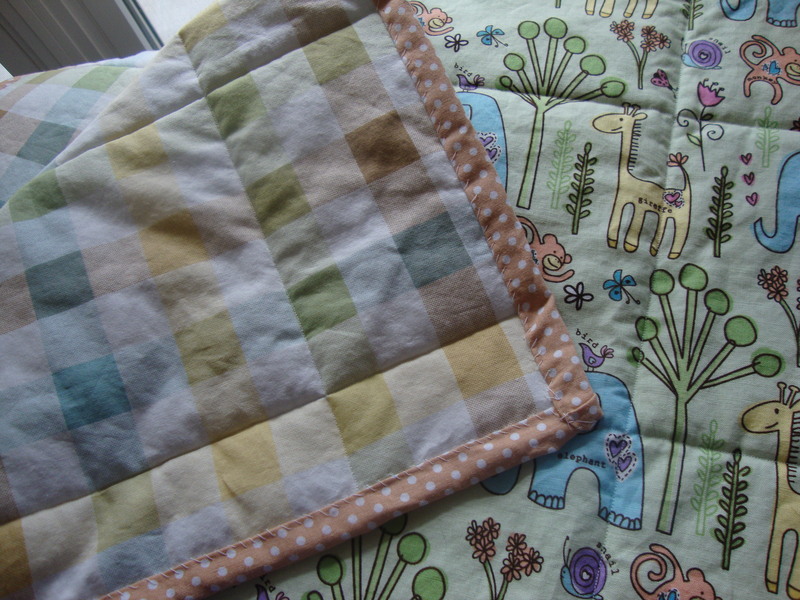 I was able to make the quilt in less than a day, and it might be the most adorable thing I have ever made. I can’t wait for the newest member of this family to get here, but in the mean time, I’m sure there are many crafts I can make until then. A trip to another country would not be complete without some awesome souvenirs. We visited the Medina at least once a day, so I took my sweet time scoping out all the different things so buy. And I’m pretty pumped about the items I ended up coming back with. 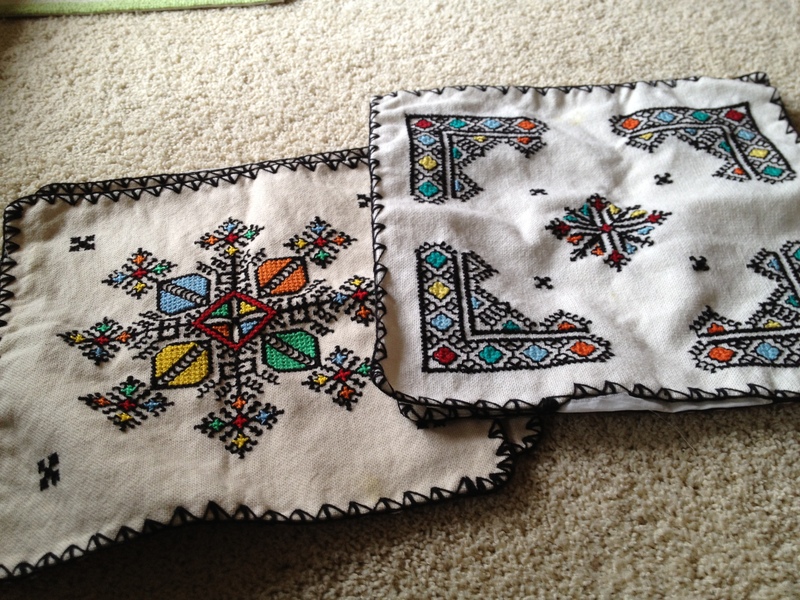 I purchased these pillow cases from an older woman in Meknes. We had stopped and looked at something nearby, but when I saw these, I knew I could do something really cool with them. We were told they are Berber designs. I ended up buying 4 total (2 of each design). The leather in Morocco is so beautiful in all its many colors. 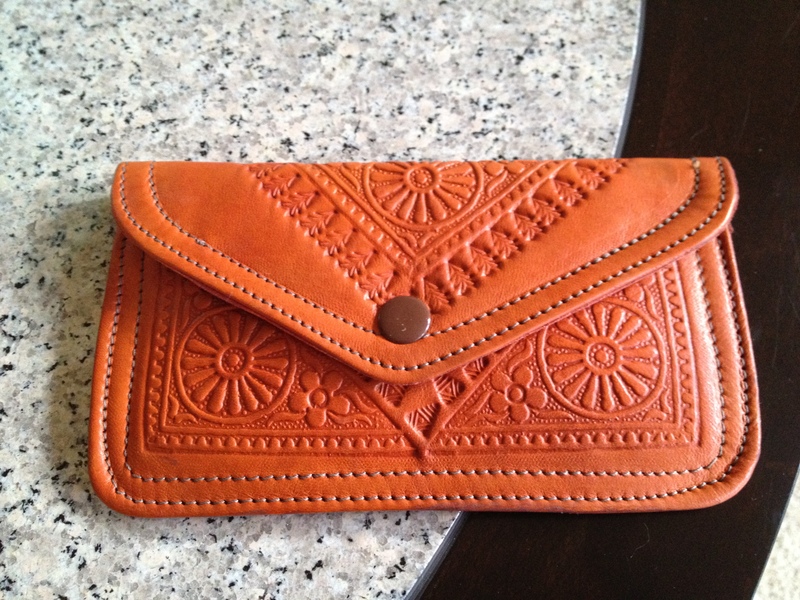 We entered a particular leather shop in Rabat, and I came away with a beautiful weekend bag and this leather wallet. The leather smells rather funny (and it seems to get stronger the more you use it) but it makes it feel more authentic. You would think that I would go crazy buying fabric, but alas, I only came back with a meter of material. I will admit, the amount of fabric places had was very overwhelming. 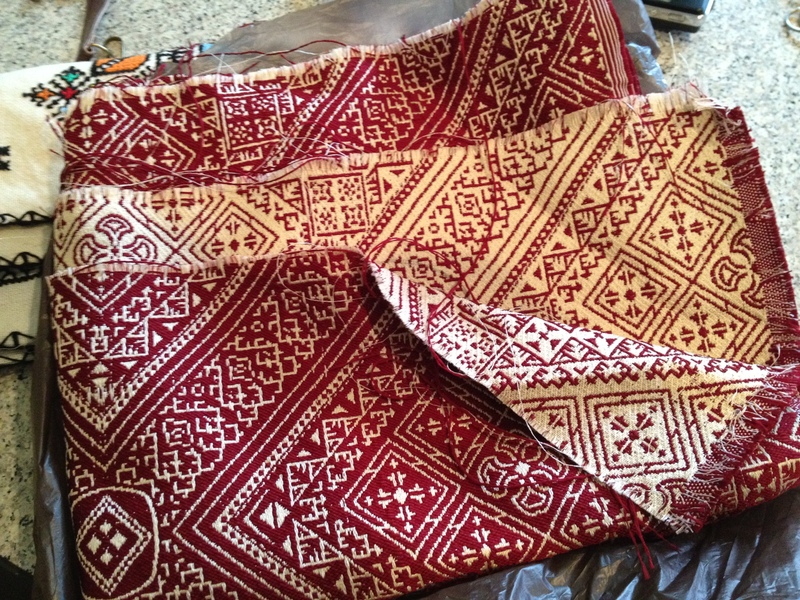 I quickly fell in love with several patterns, but I asked myself, what would I do if I bought it? I didn’t know how much I should buy or what colors I would need. I finally decided to not buy every fabric I saw, despite the cheap prices. It may have been a mistake, but I figure, I always know where to go if I need fancy fabric. 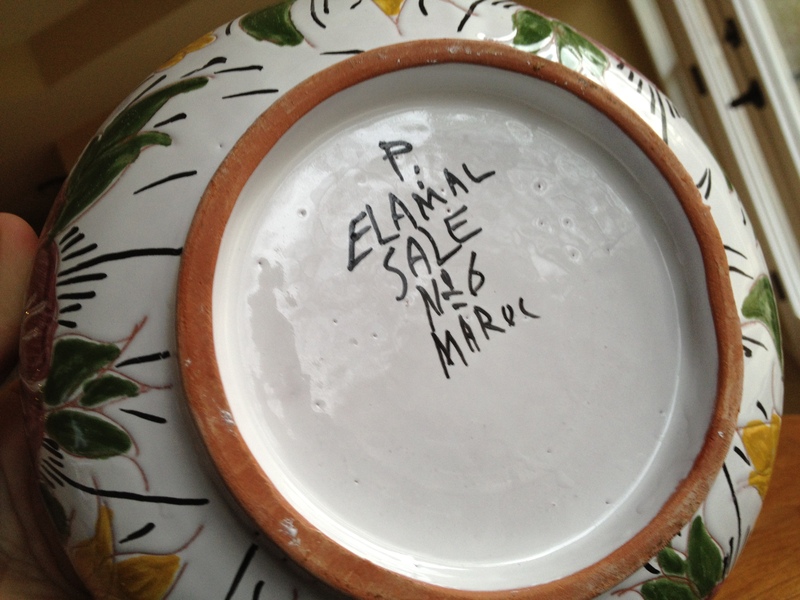 I knew pretty early on that I wanted to buy a Moroccan teapot. They are just so beautiful, and America can’t beat their prices. So I bought two – the large one for my Mom and the little one for my dorm room. 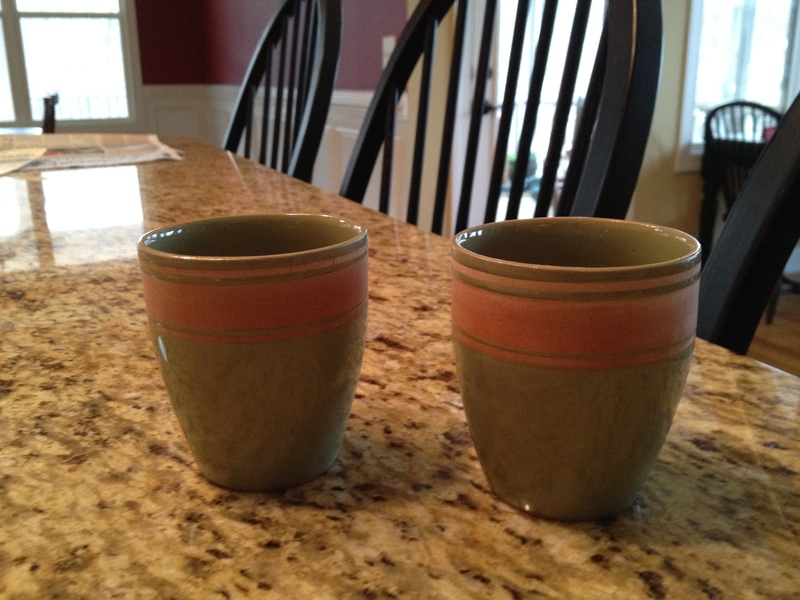 In Sale, I bought a few coffee mugs and these two cups. 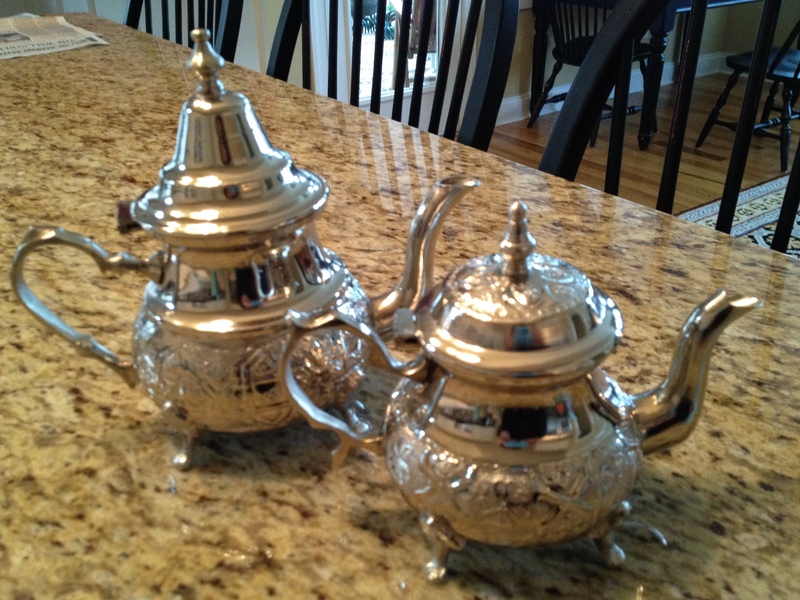 Hand crafted, they are the perfect companions in case I ever felt like making some mint tea. 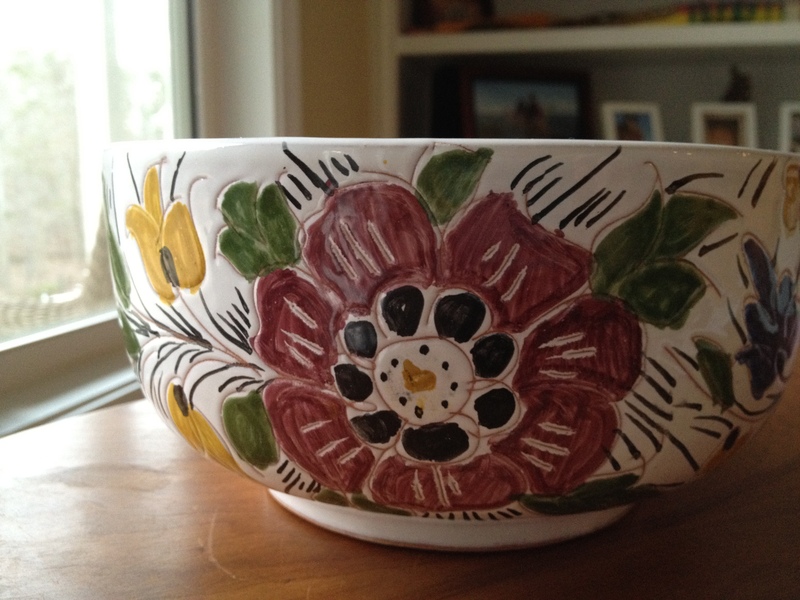 I also purchased this bowl in Sale, and it might be my favorite thing I brought home. It looks like it belongs in a Anthopologie store, but it is definitely not made in China. It was made in the store I bought it from. The lady that hand painted it sold it to me. The bottom of the bowl even has the potter’s signature. 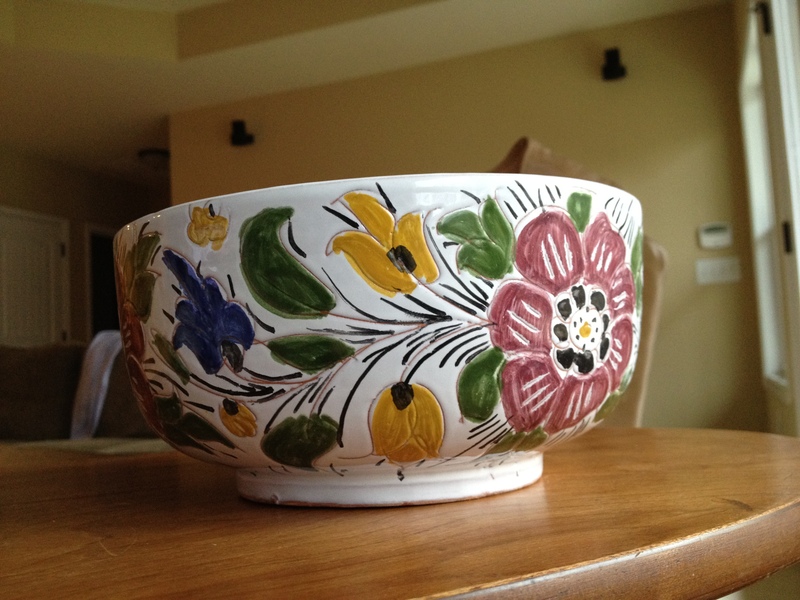 And if you can believe it, this beautiful bowl only cost me $10. Talk about a great souvenir!